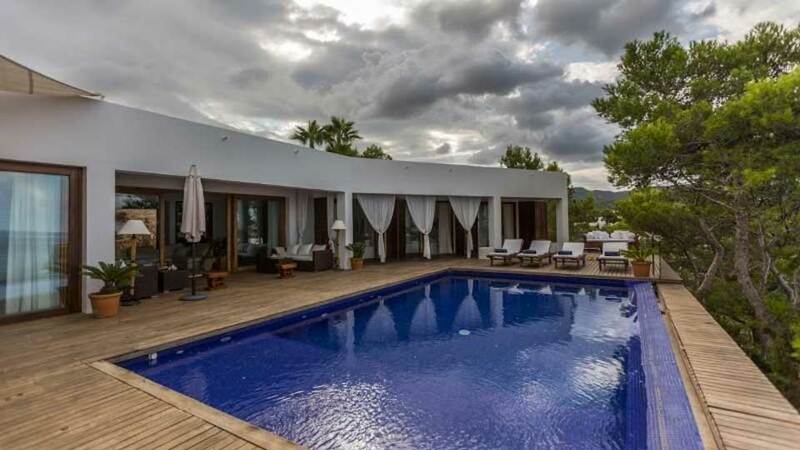 Spectacular and spacious villa of 500 m2 located on a hill in Cala Corral, a few meters from the coast. 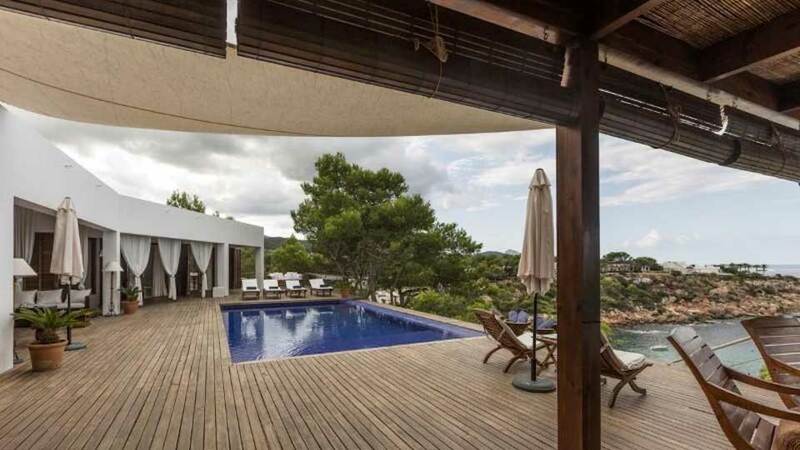 The property is on a fenced plot of 120,000m2 with incredible views of the sea and the west coast of the island. 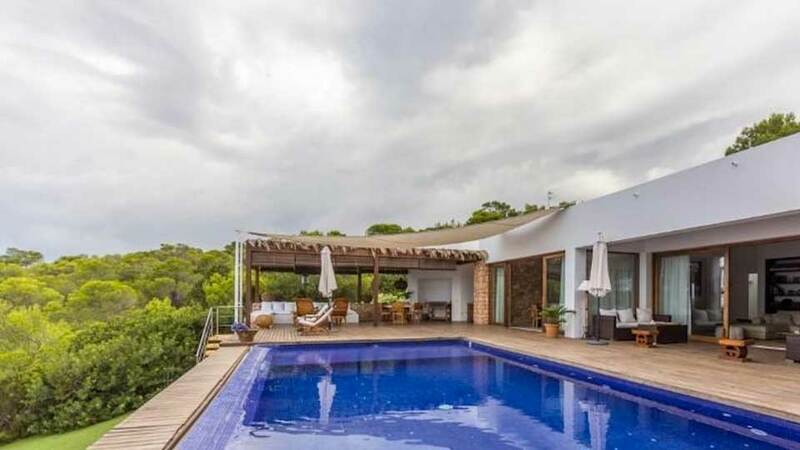 Villa of one level and oriented to the West of the island. The terrace enjoys the sun all day long. 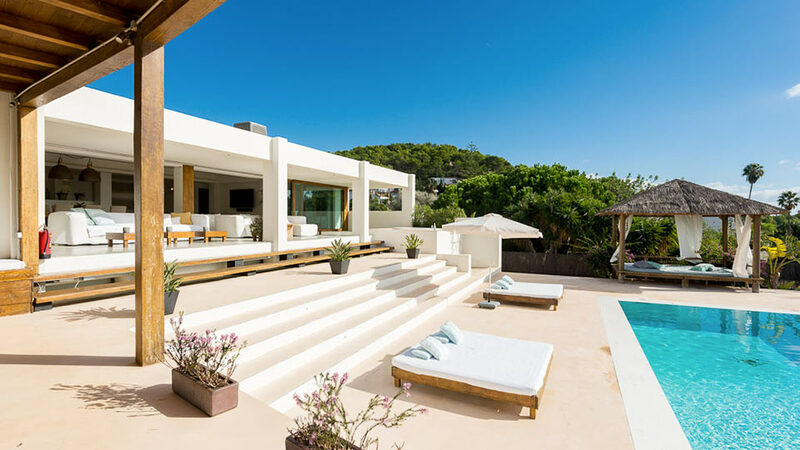 Direct access to the small Cala Corral cove by stairs. Suite, Ground level, view of the sea. This bedroom has 1 double bed 200 cm. Bathroom ensuite, With bathtub, shower. This bedroom includes also air conditioning, TV. 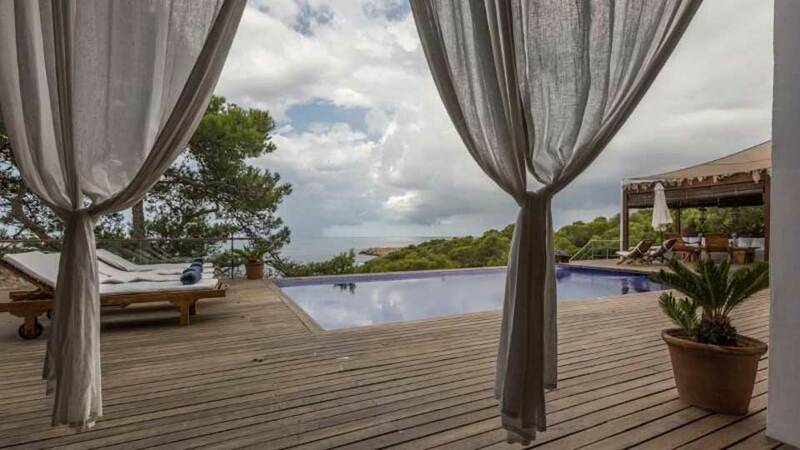 Room, Ground level, direct access to the terrace, view of the sea. This bedroom has 1 double bed 200 cm. Bathroom ensuite, With shower. This bedroom includes also air conditioning, TV. Large living room dining room with plasma TV (TDT), access to the pool terrace with spectacular sea views. Very well equipped kitchen with gas stove, hood, electric oven, microwave, dishwasher, 2 fridges, juicer, Nespresso machine, blender, toaster, kettle. Private pool 9x 5m (chlorinated water). Outdoor dining room under a porch. Relaxing corner with sofa under an outdoor porch with beautiful sea view. 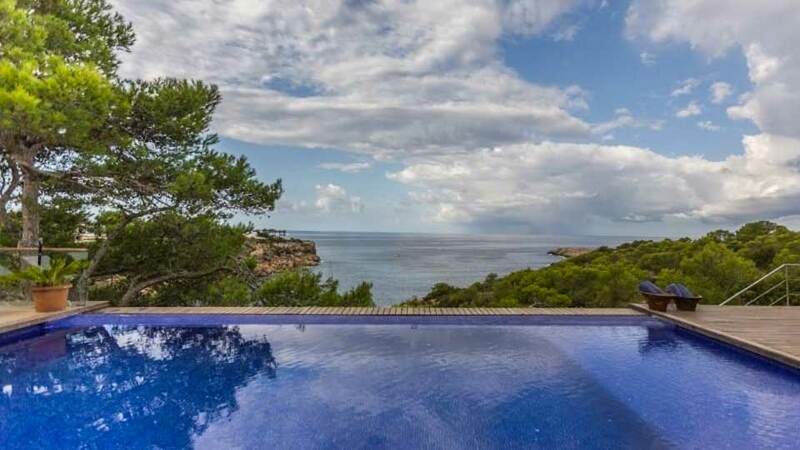 Cala Tarida Beach is just a 3-minute drive away. Cala Molí Beach is an 8-minute drive away and other beaches on the west coast such as Cala Vadella, Cala Carbó and Cala D'Hort are a 10-15 minute drive away. Supermarket, bars and restaurants on the beach of Cala Tarida. The city of San José is an 8-minute drive away. The Ibiza airport is located 18-20km away.